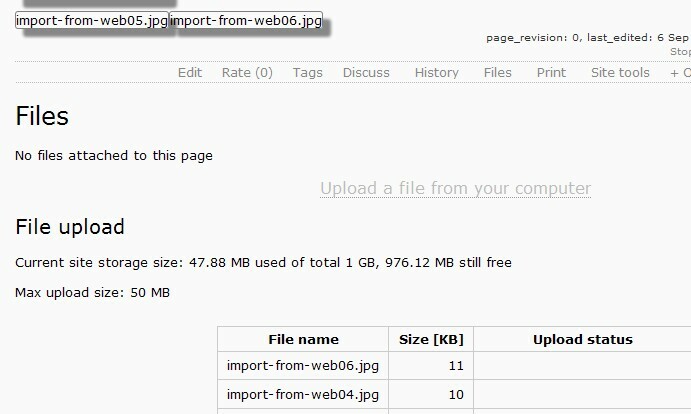 Proper permissions from the site and page you want to export (save). 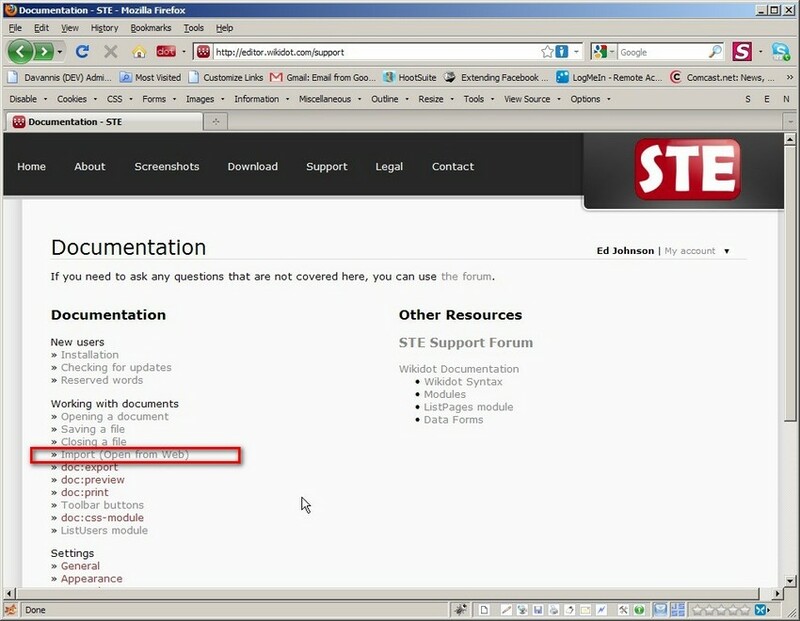 For this example, we will use STE to create the "doc:import" page on the STE website. 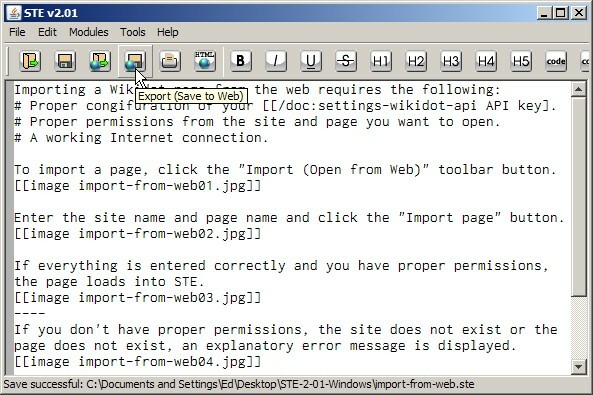 After creating the content, click the "Export (Save to Web)" toolbar button. 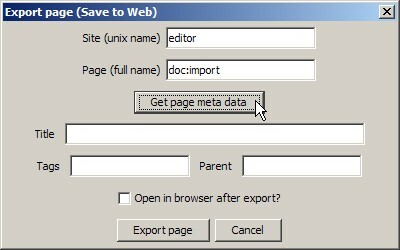 Enter the site name and page name and click the "Get page meta data" button. 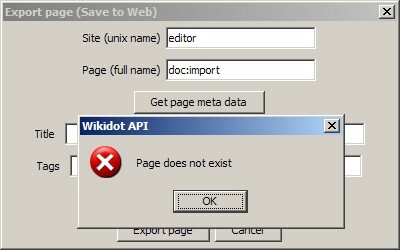 Since the page does not exist, STE throws us an error message telling us that. 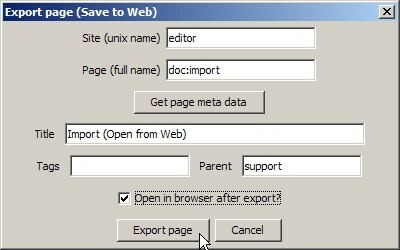 Fill in the page title, tags, and parent page information as needed and click the "Export page" button. If we entered everything correctly, we will get a message saying that the page exported successfully. If we refresh the main support documentation page, we see that the "Import (Open from Web)" page is now listed in the documentation index. 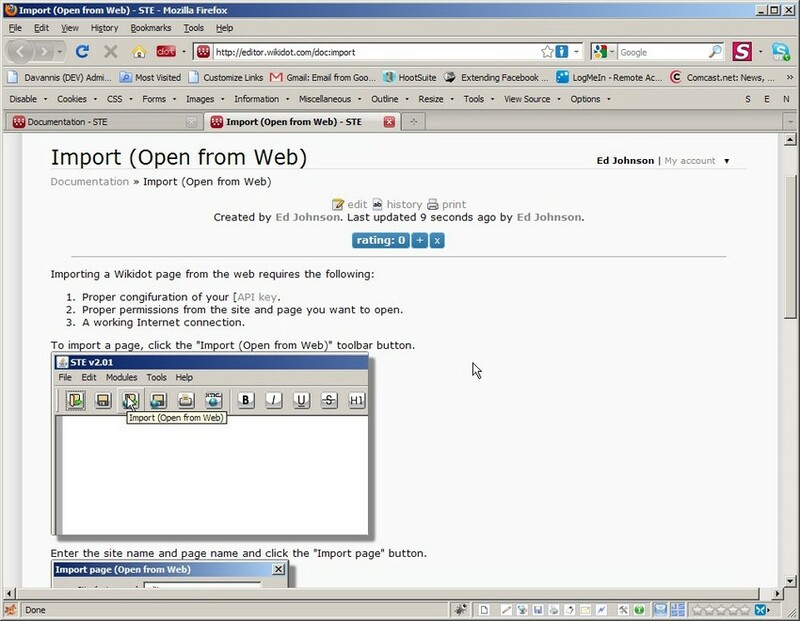 If we selected the "Open in browser after export?" option before saving, the page we created opened in our default browser.